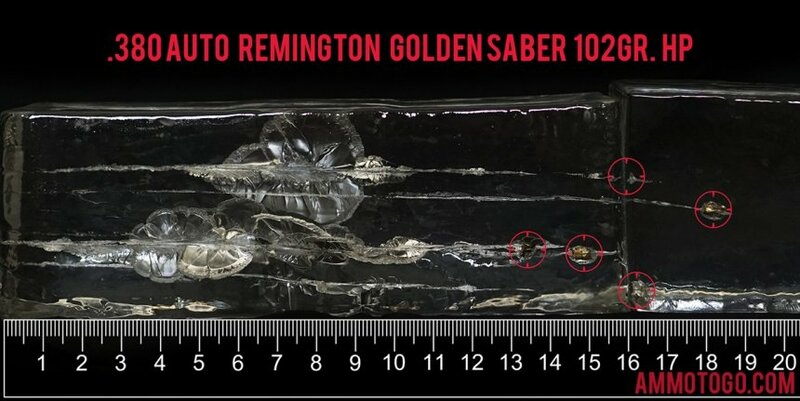 One of the world's oldest ammunition manufacturers, Remington is one of the most-respected names in the industry. By combining the finest components with innovative solution, Remington moves closer to ammunition perfection with every round it produces. 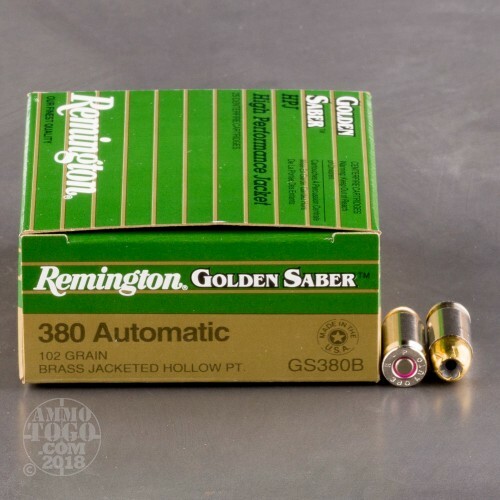 This package contains 25 rounds of Remington Golden Saber .380 Auto ammunition. Each round is loaded with a 102 grain Golden Saber high-performance jacketed hollow point projectile. 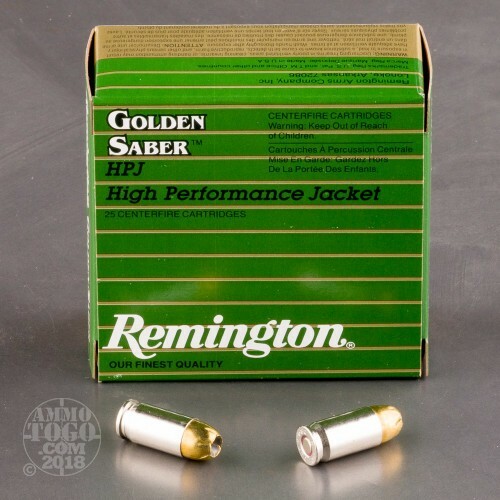 The unique brass jacket of these projectiles is engineered to control mushrooming and release energy over a longer distance when compared to standard copper jacketed bullets. The patented design of these projectiles feature nose cuts that go completely through the bullet jacket. This design enhances mushroom initiation over the widest ranges of practical velocities. Together with a reduced nose diameter, these loads greatly increase accuracy over a wide range of distances. 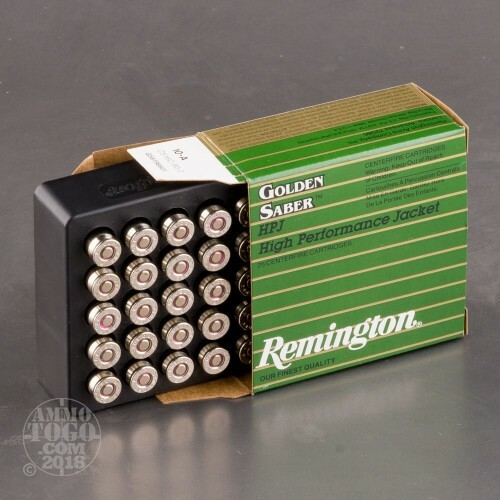 These premium personal protection rounds are sealed for moisture protection and the boxer primers are triple checked to ensure the most reliable function on the market today. Loaded with flash retardant powders, this ammo reduces the amount of muzzle flash to preserve night vision and provide faster shot-to-shot recovery. 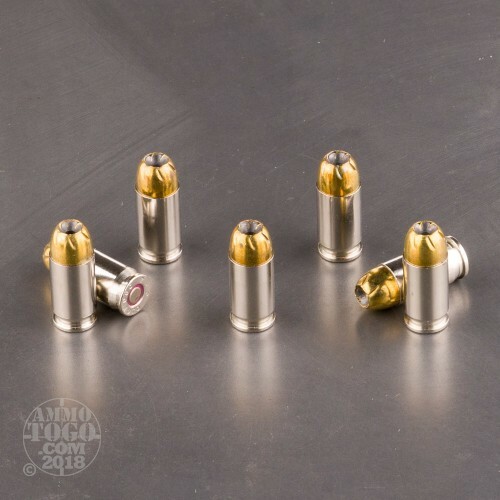 Loaded in highly visible nickel plated brass casings, each round produces a muzzle velocity of 940 feet per second and a muzzle energy of 200 foot pounds. They feed better than hs and when they exspand they have a nasty huge black talons bigger brother lookinbullet.